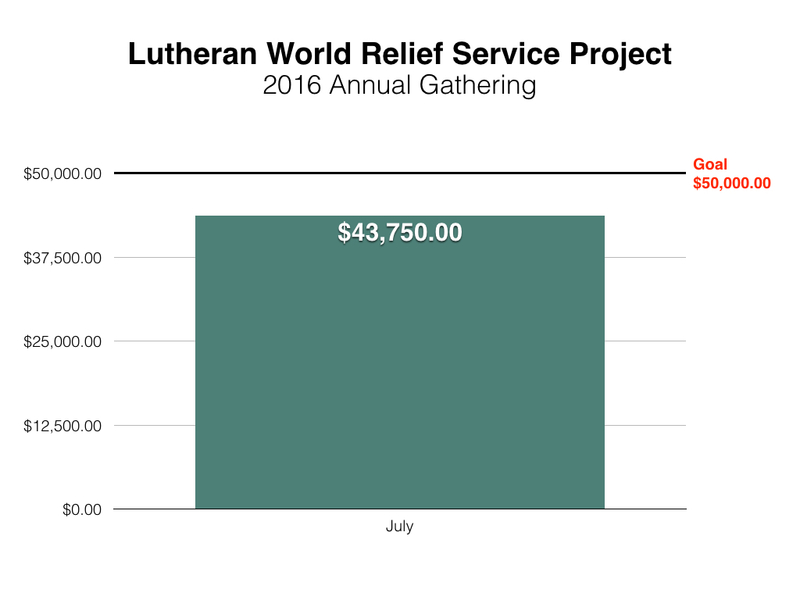 As many of you know, we will be teaming up with Lutheran World Relief during our 2016 Annual Gathering in Denver, CO to help assemble personal care kits for people who are victims of natural disasters. Our goal for this project is to raise $50,000 to help participants at the event assemble 10,000 kits. As of today, we have officially raised $43,750 in donations to help cover the cost of supplies for this project. If your congregation would like to learn more or make a donation, you may do so online or by mail by clicking here. If you will be attending the Annual Gathering and would like to sign up to help assemble the kits, you may do so by checking off the appropriate box on your registration form.